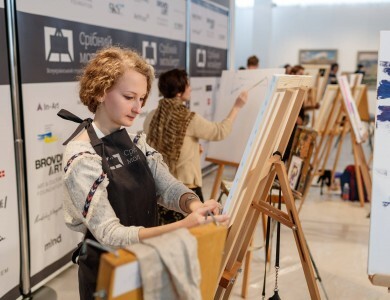 Contest “Silver Easel”. 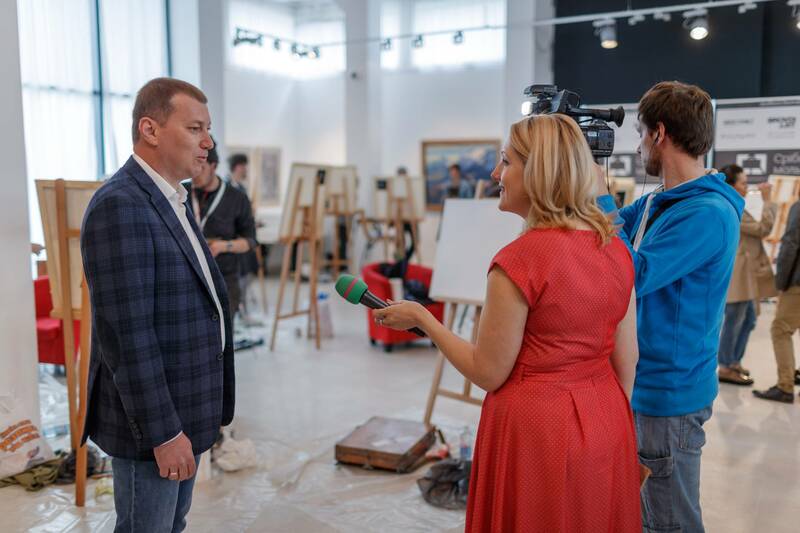 The third day – April 27, 2017. 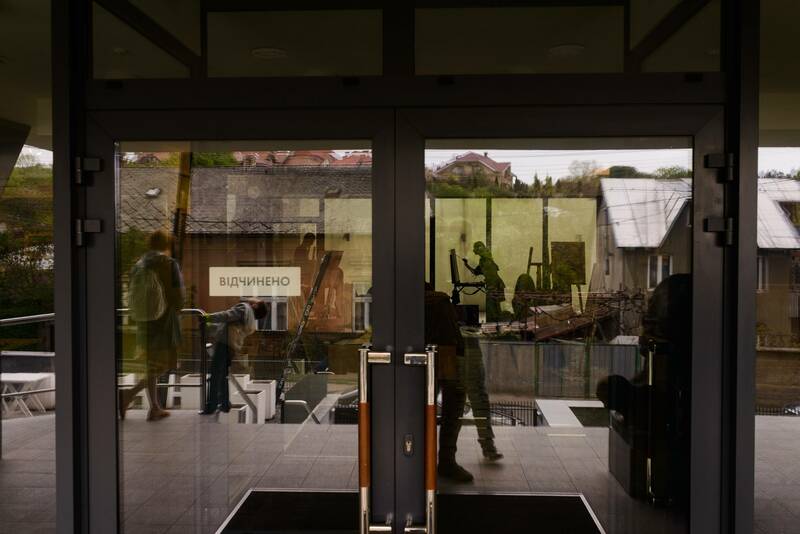 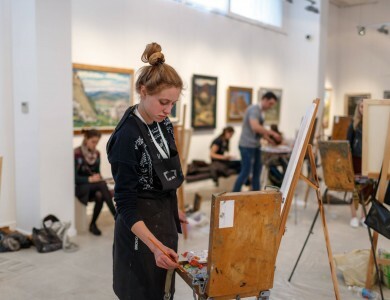 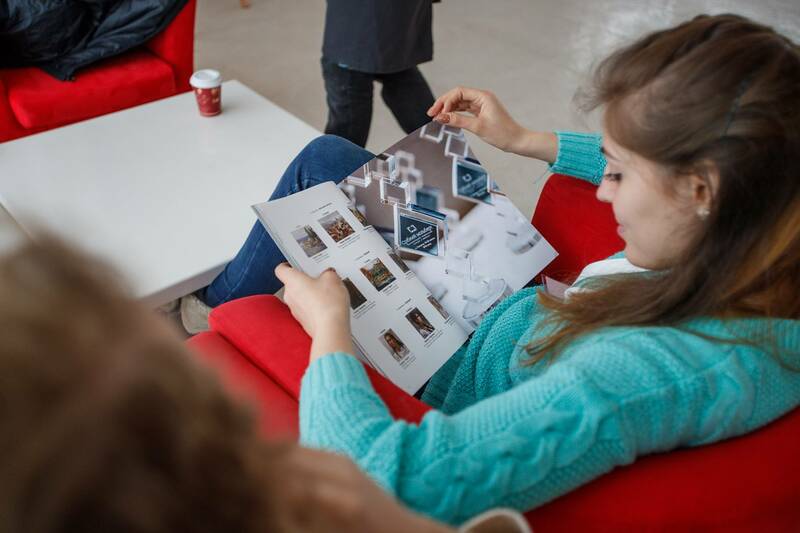 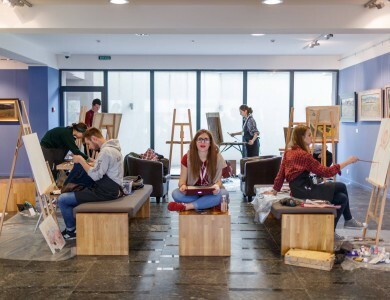 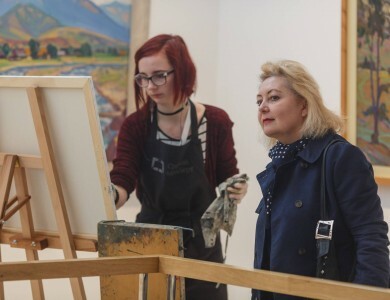 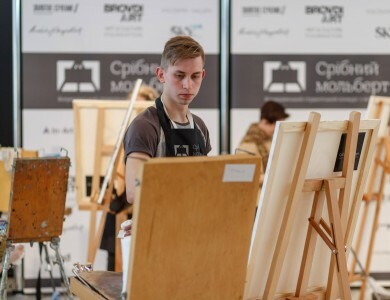 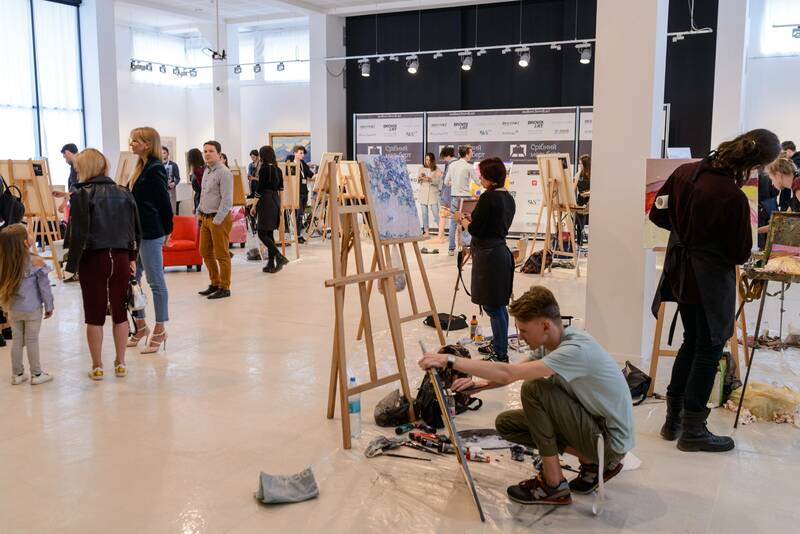 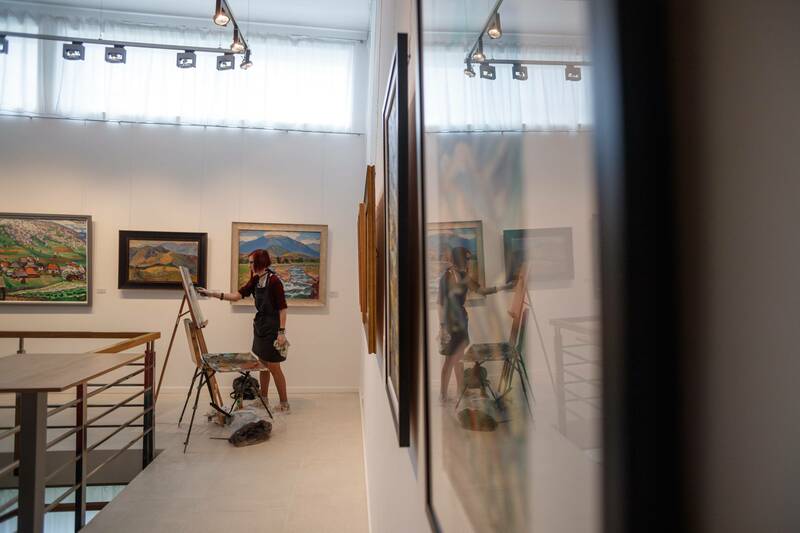 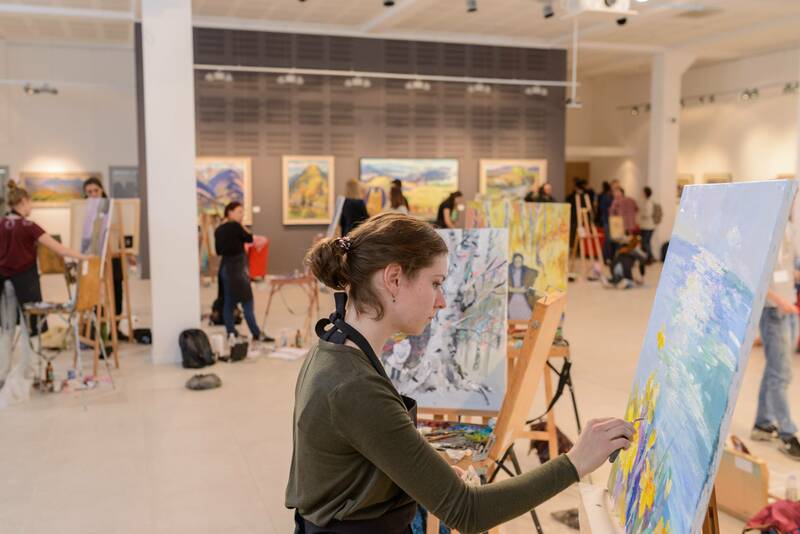 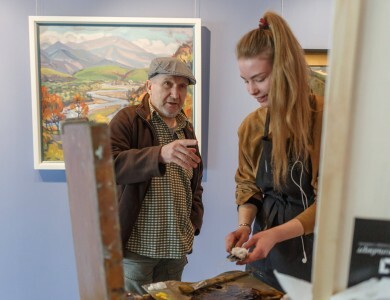 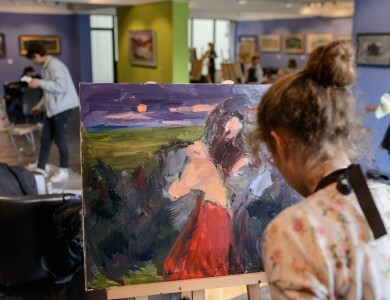 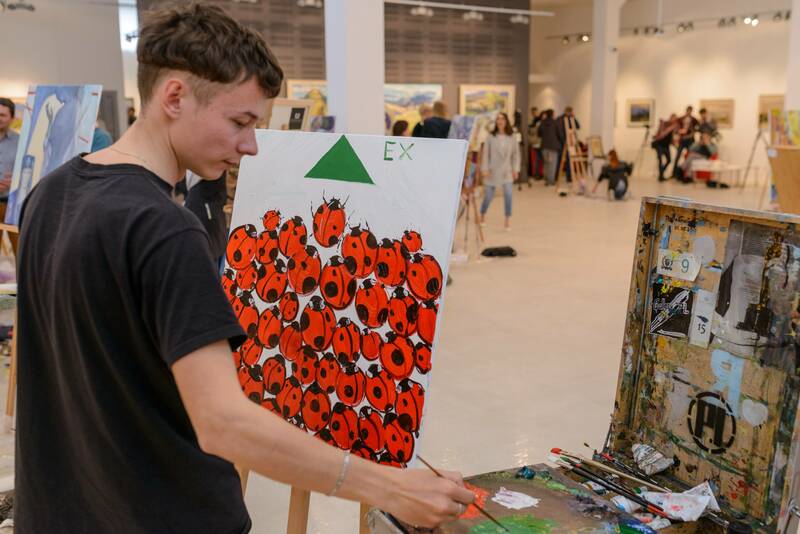 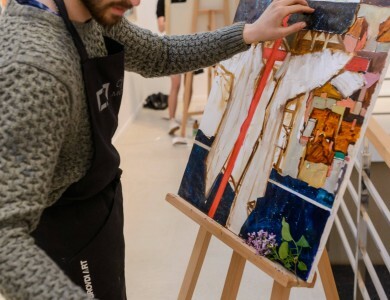 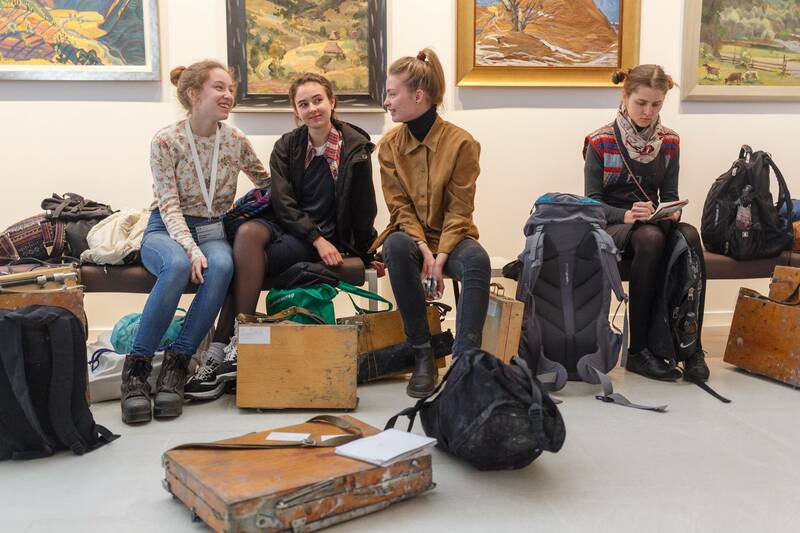 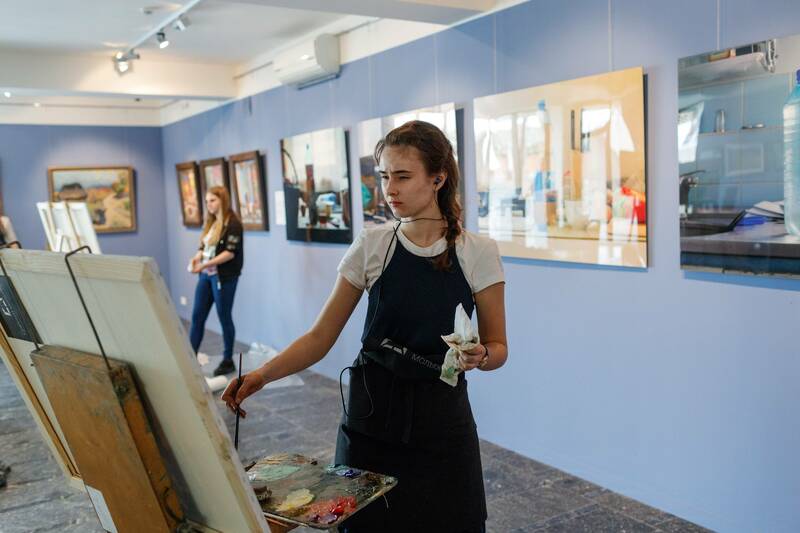 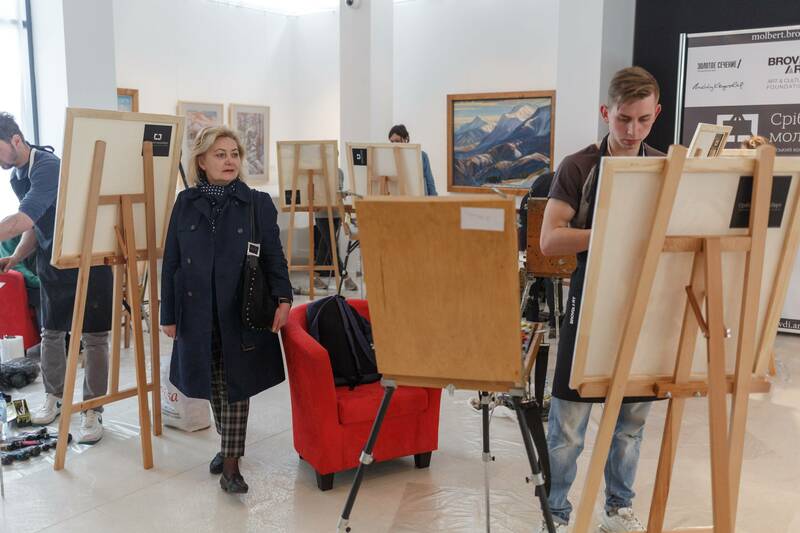 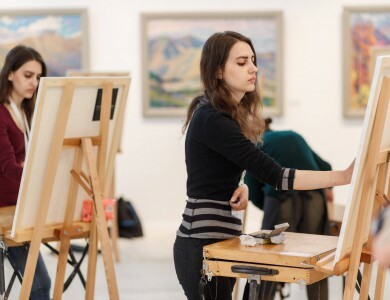 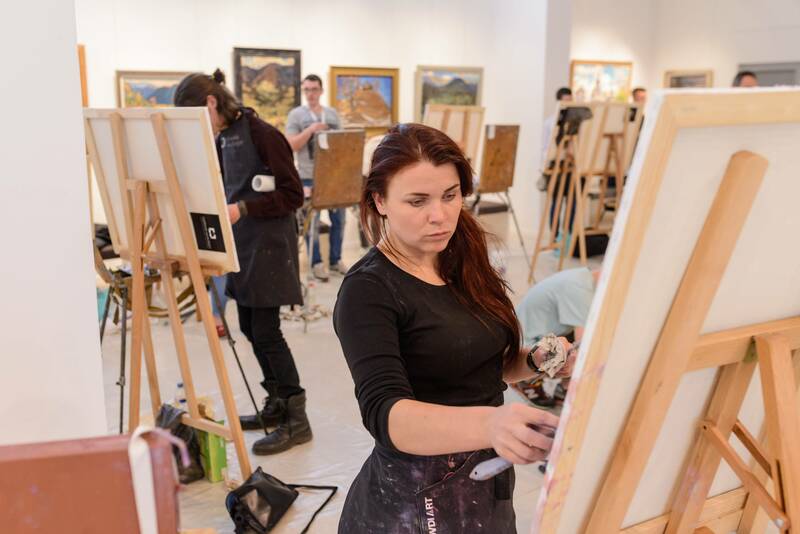 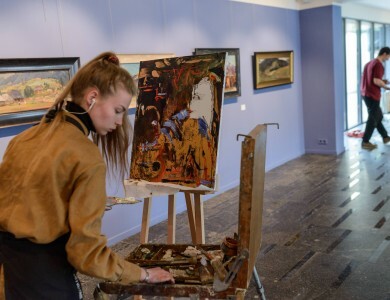 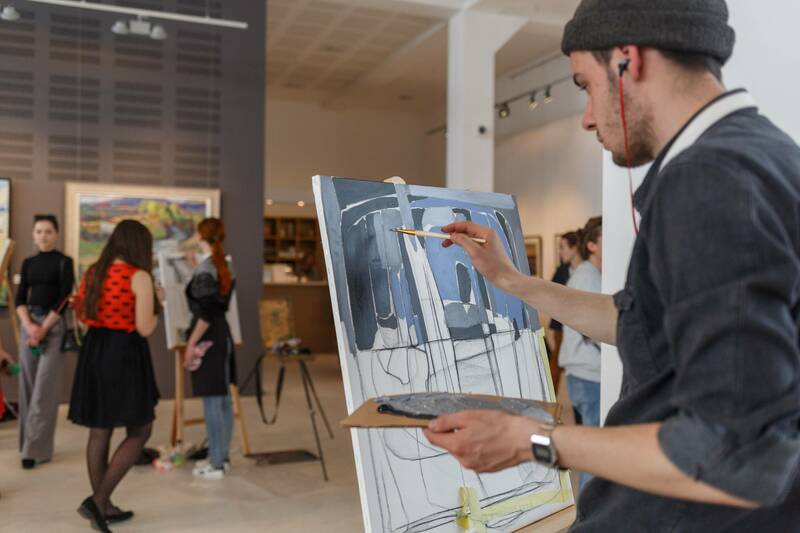 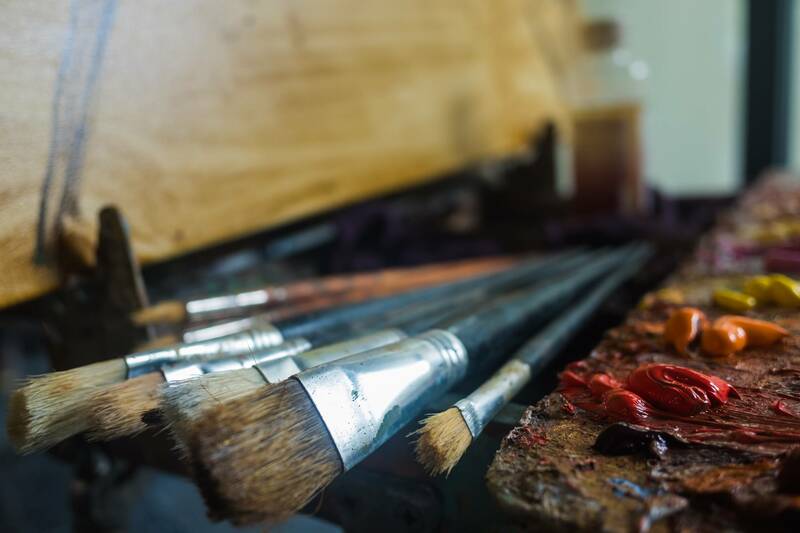 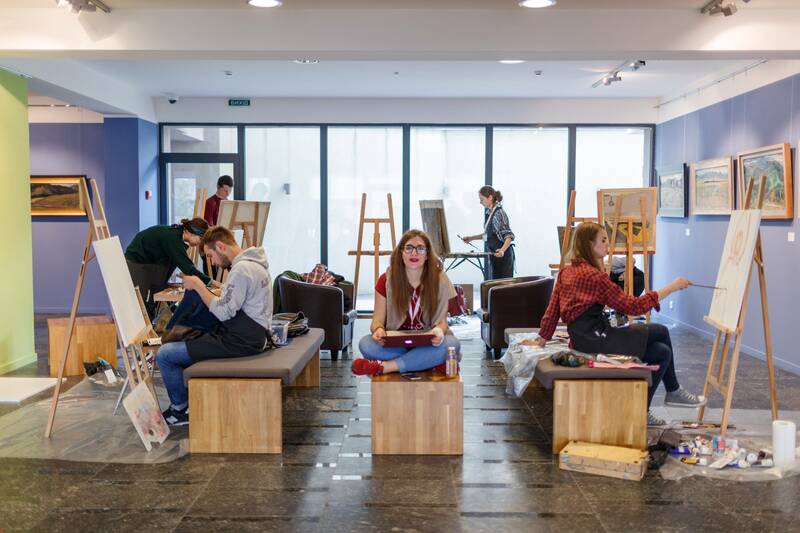 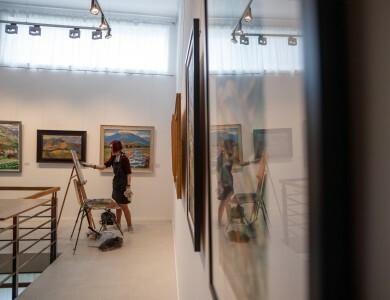 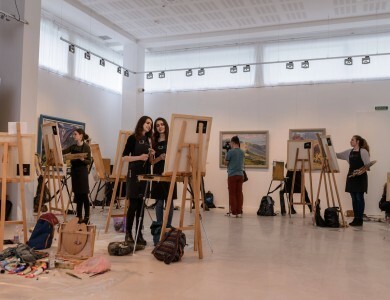 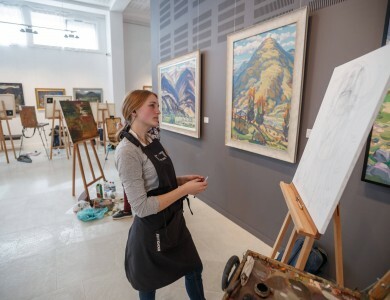 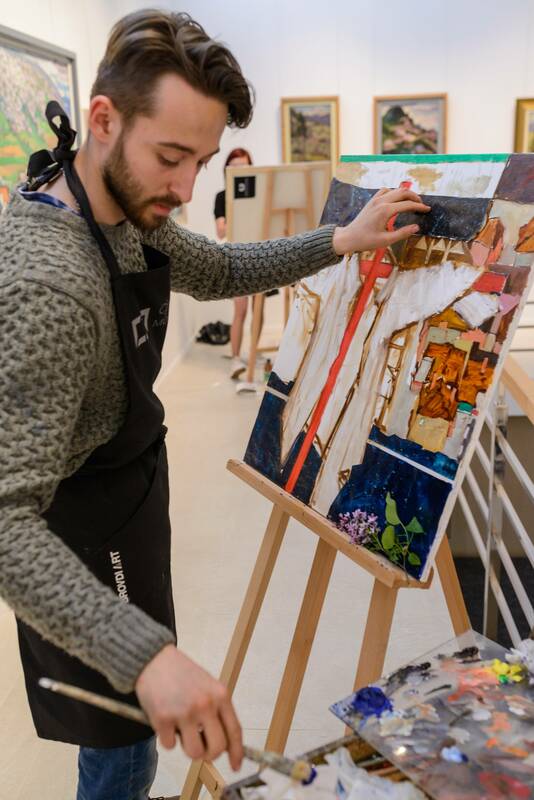 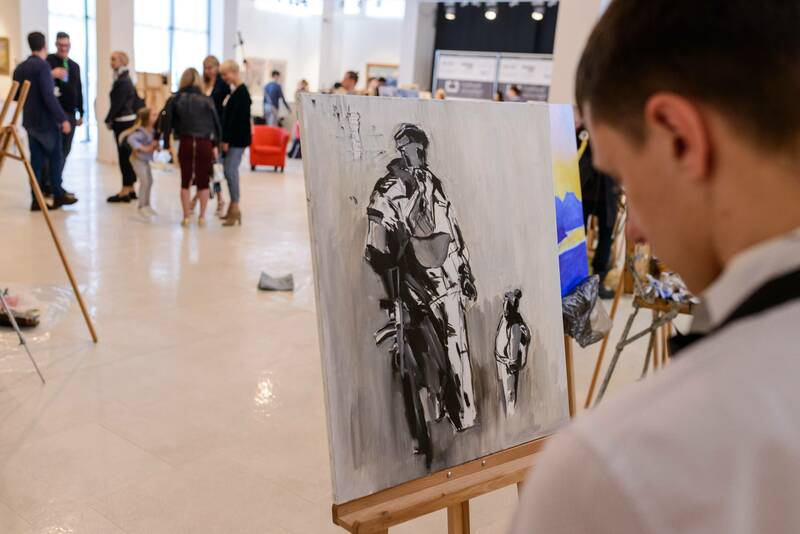 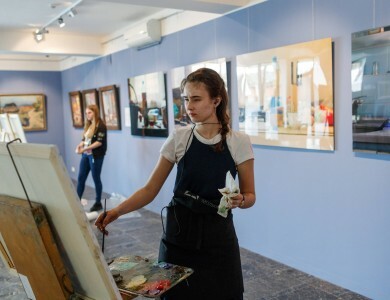 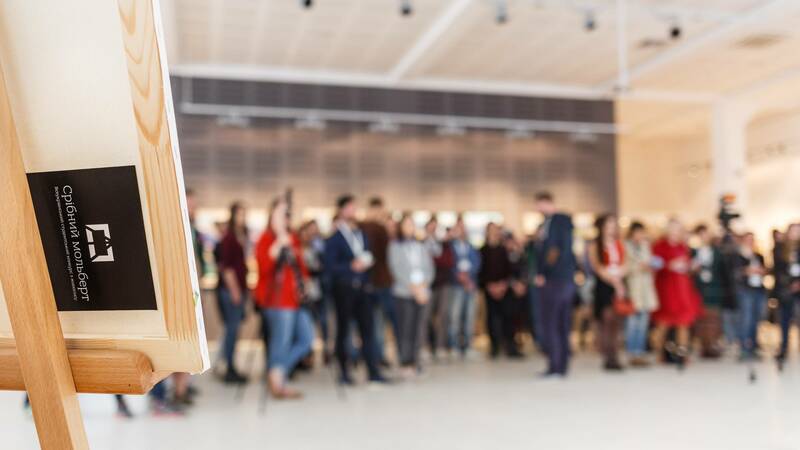 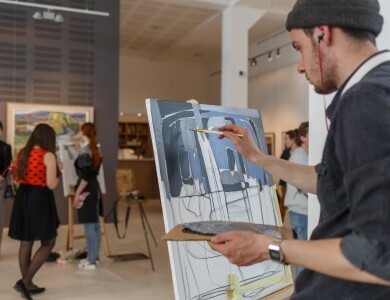 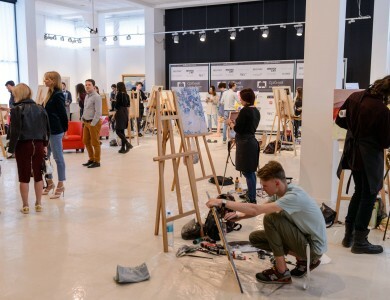 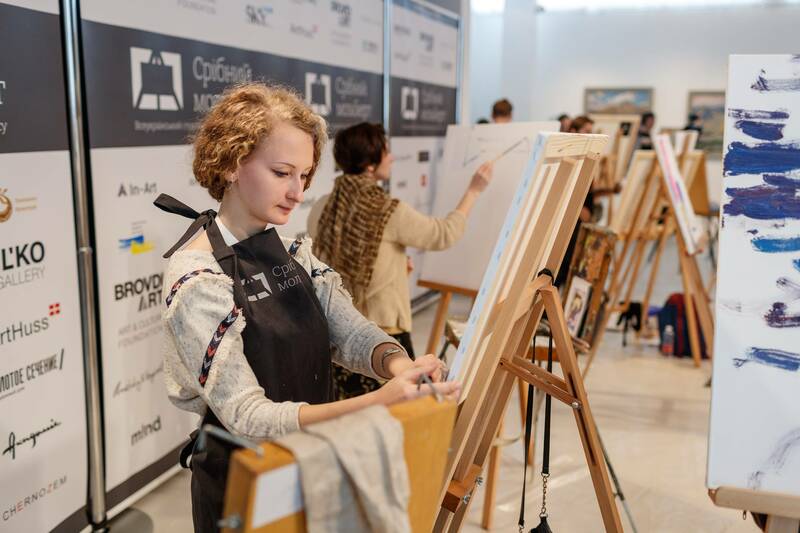 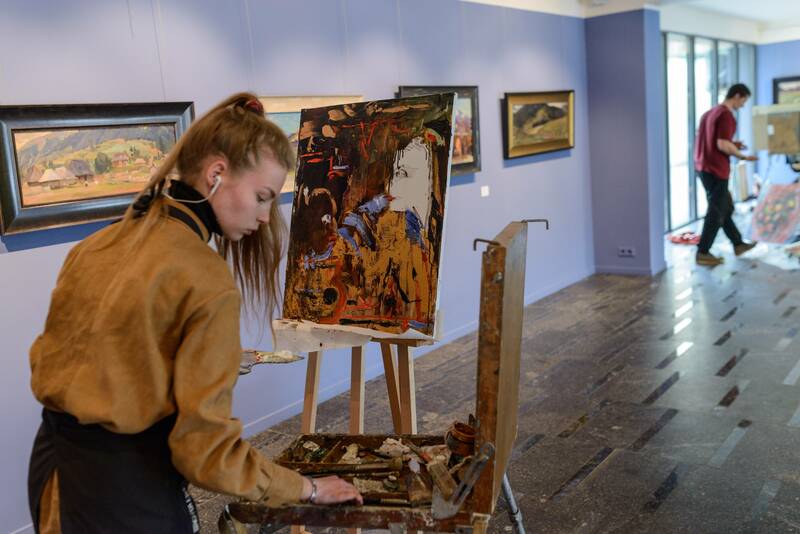 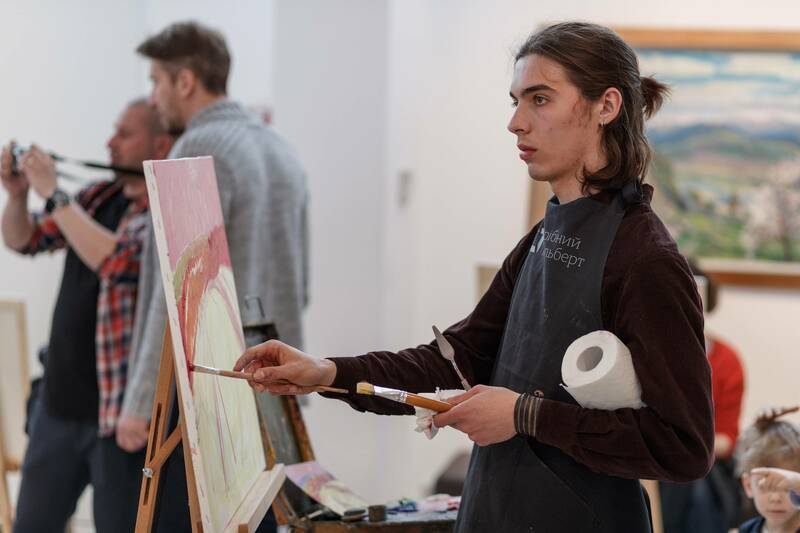 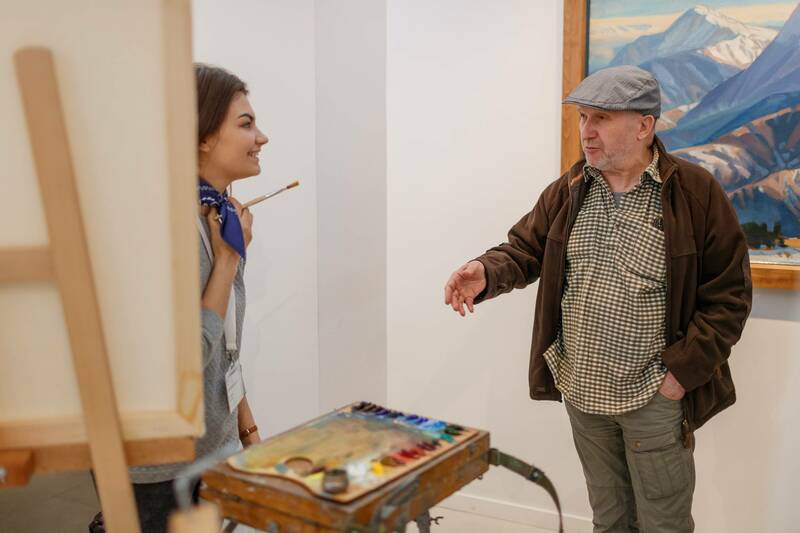 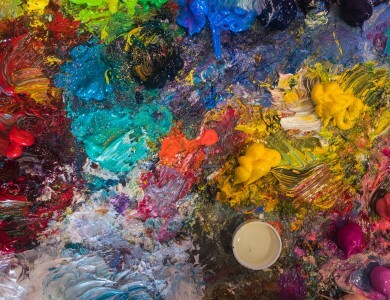 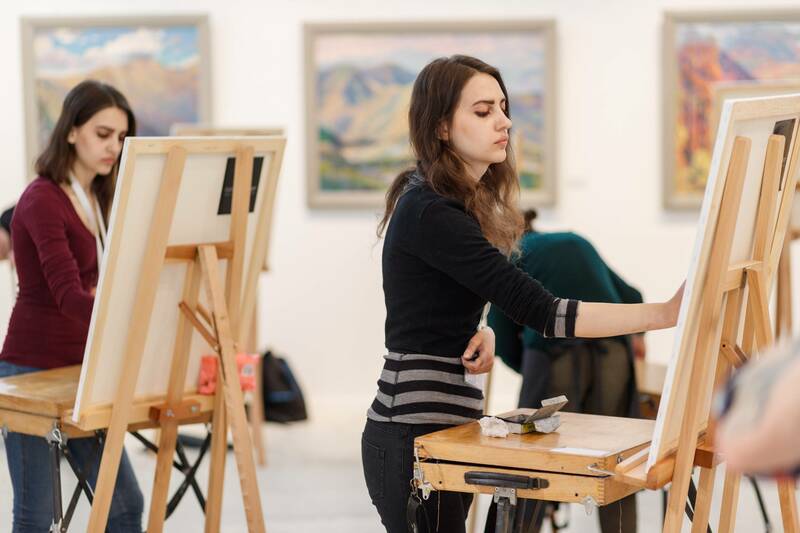 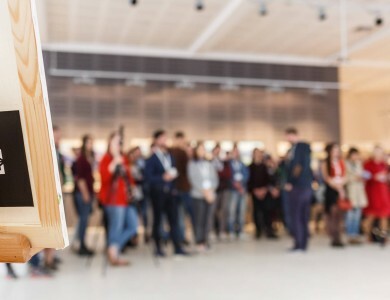 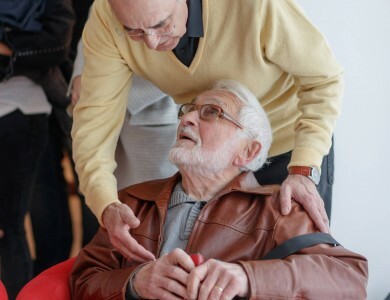 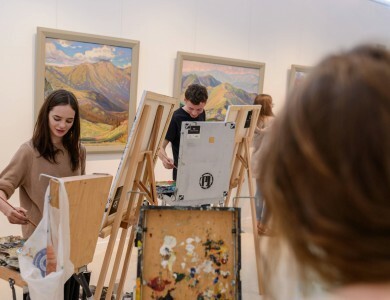 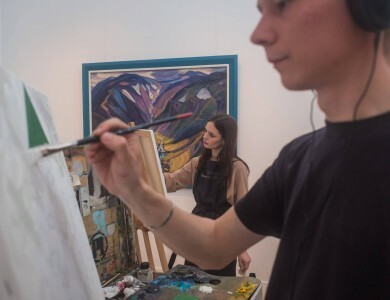 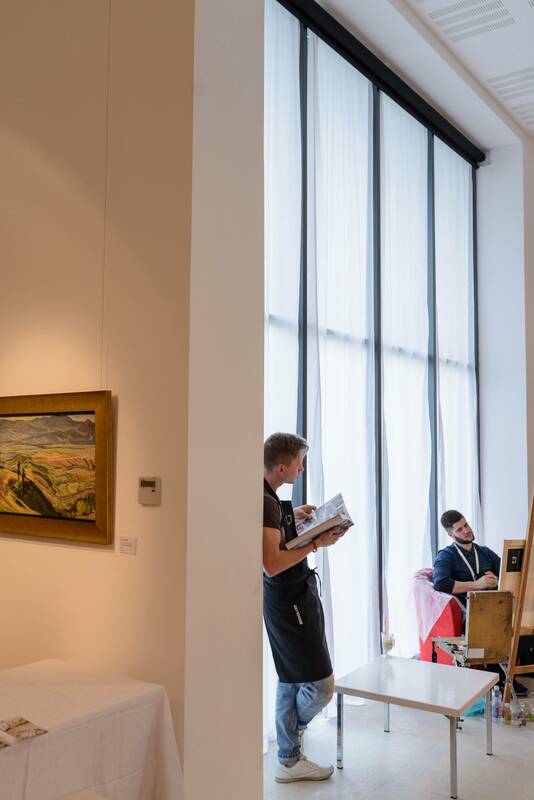 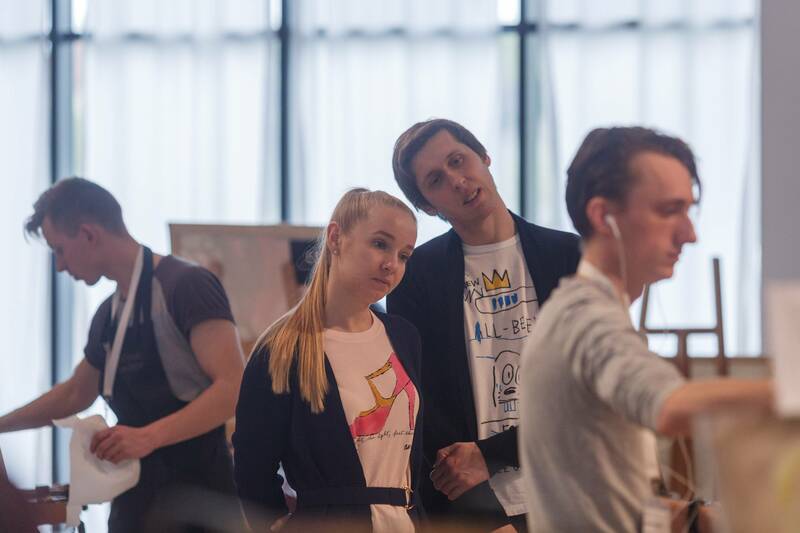 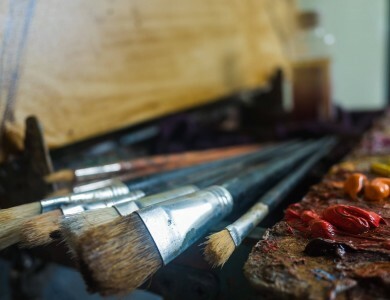 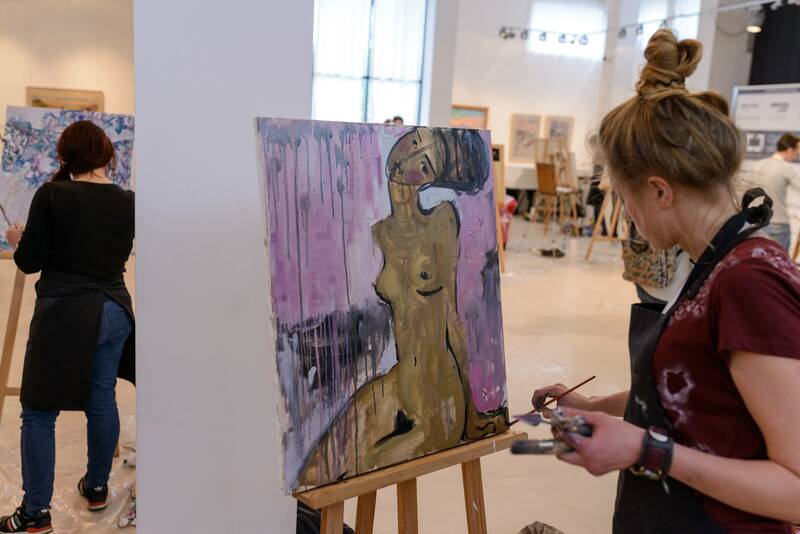 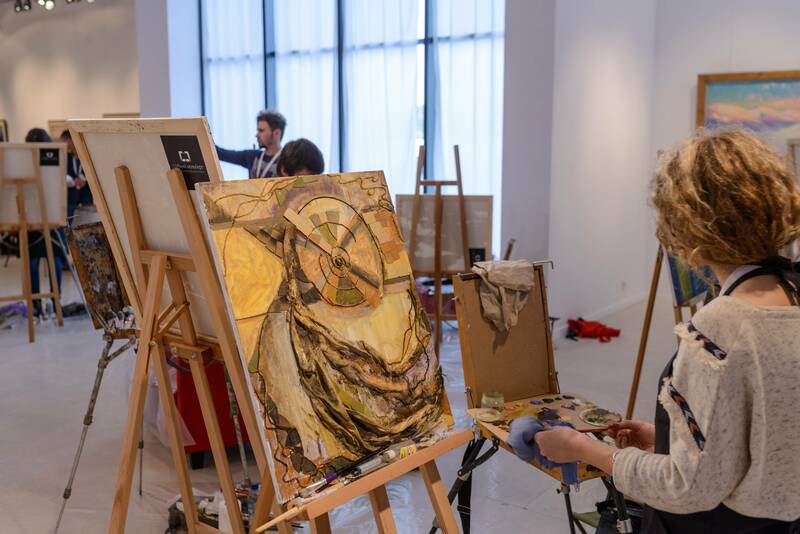 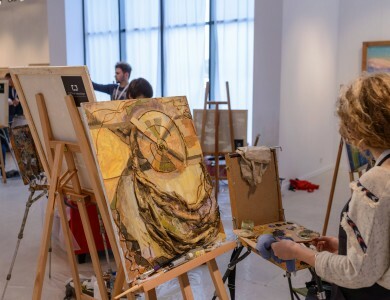 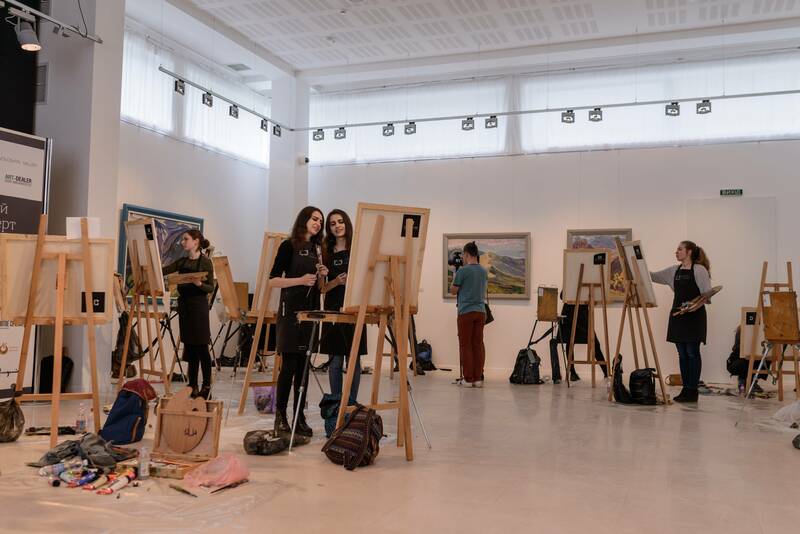 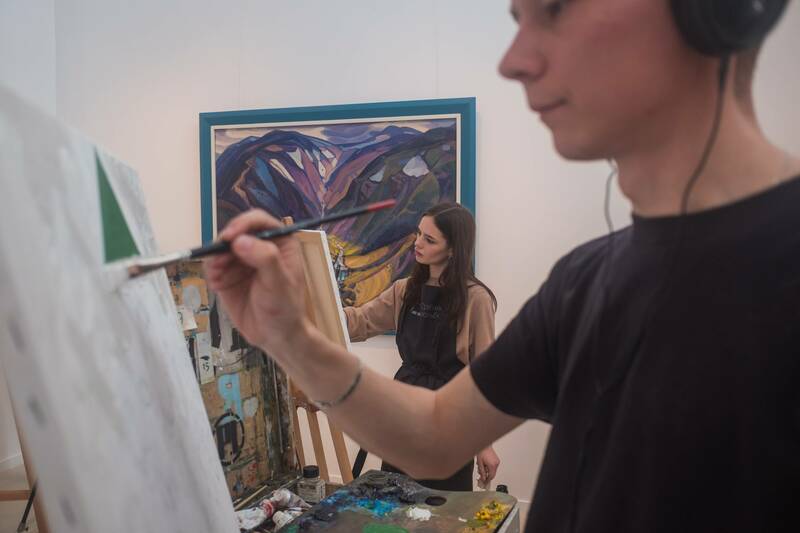 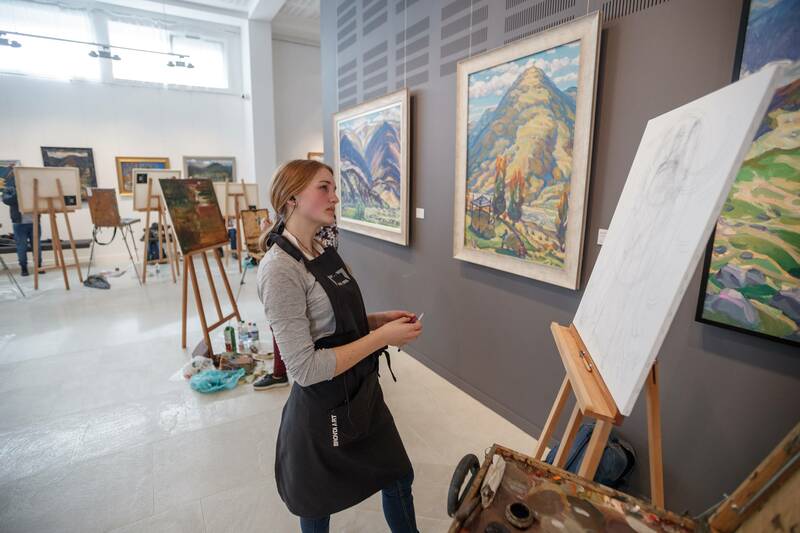 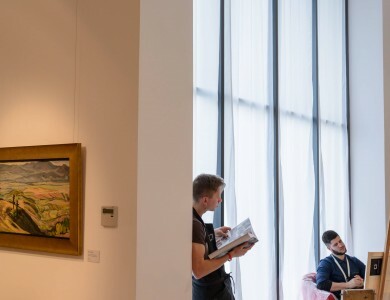 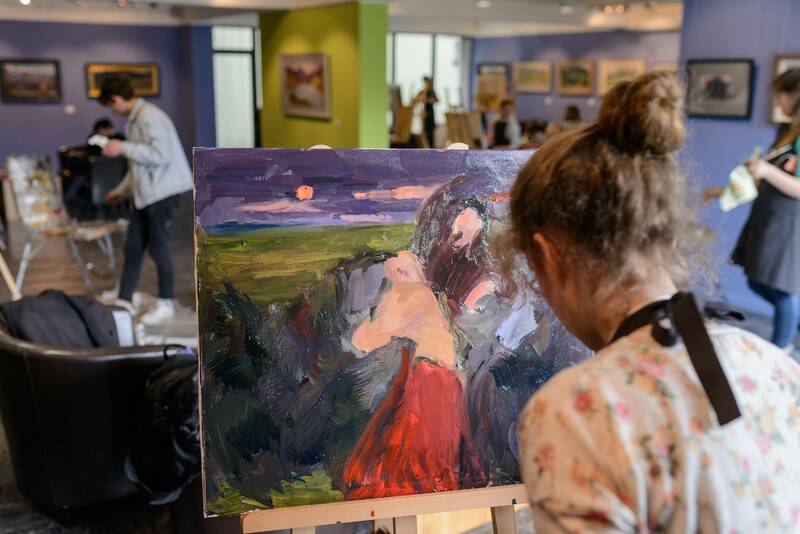 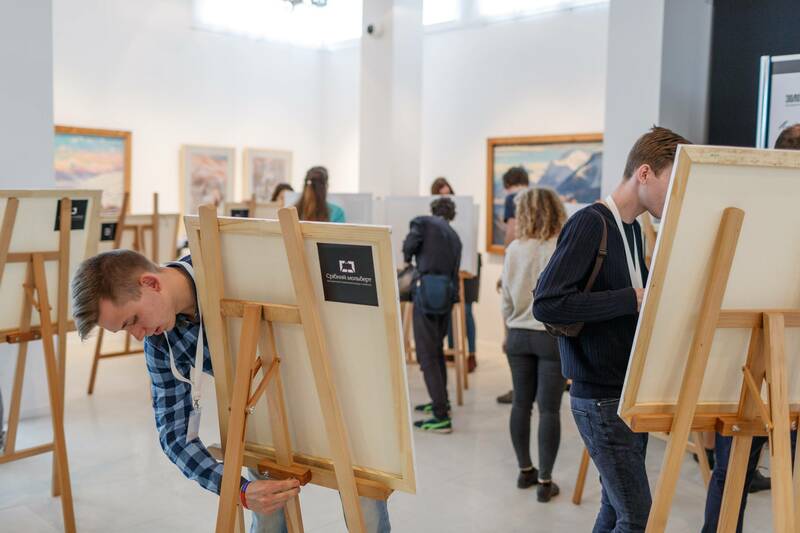 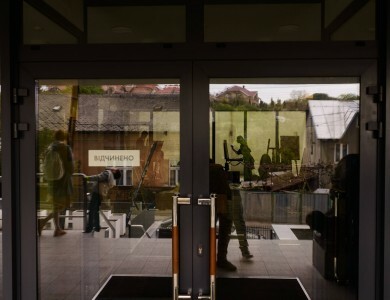 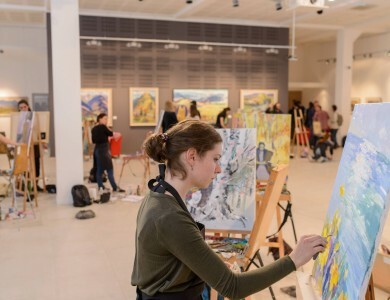 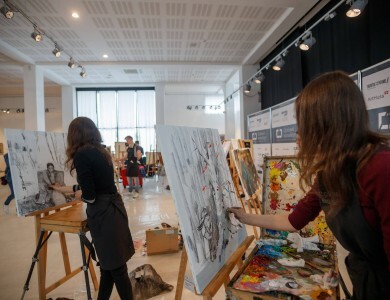 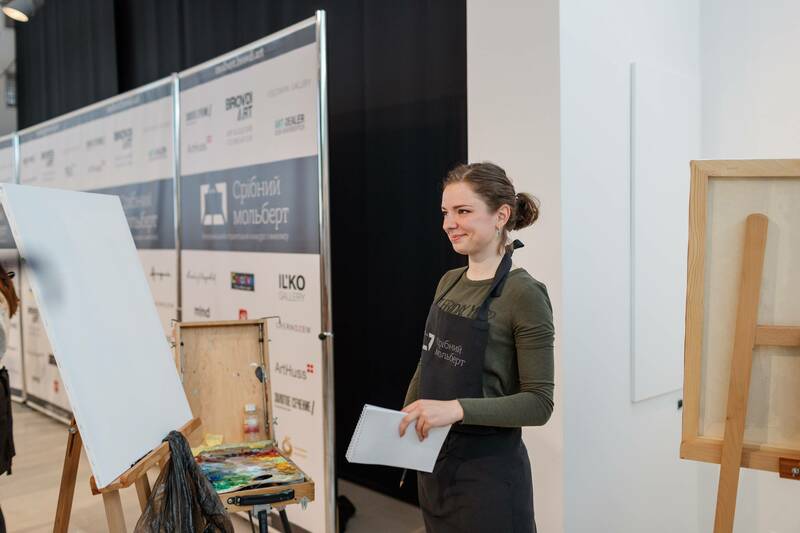 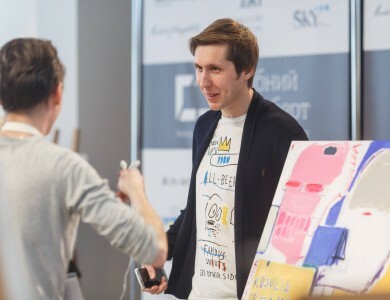 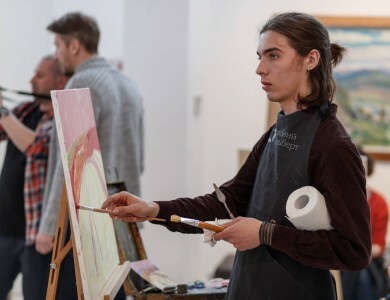 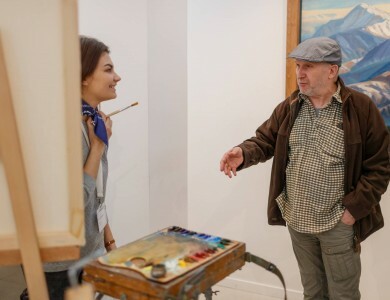 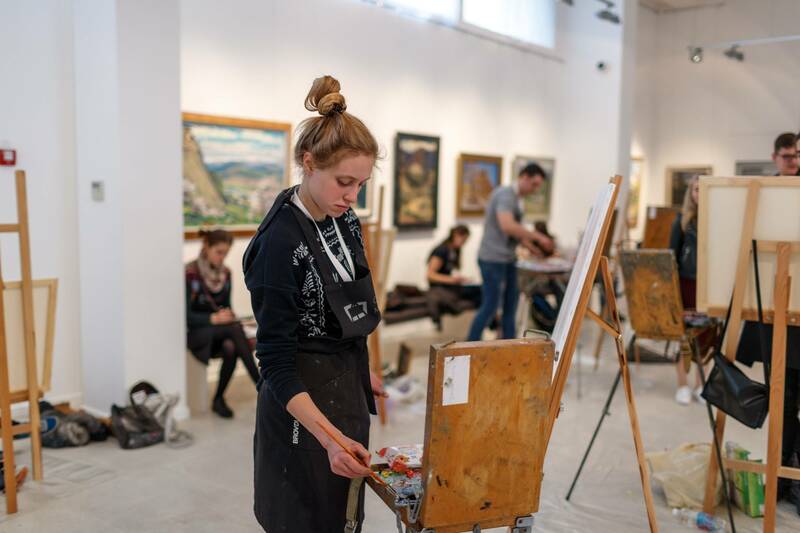 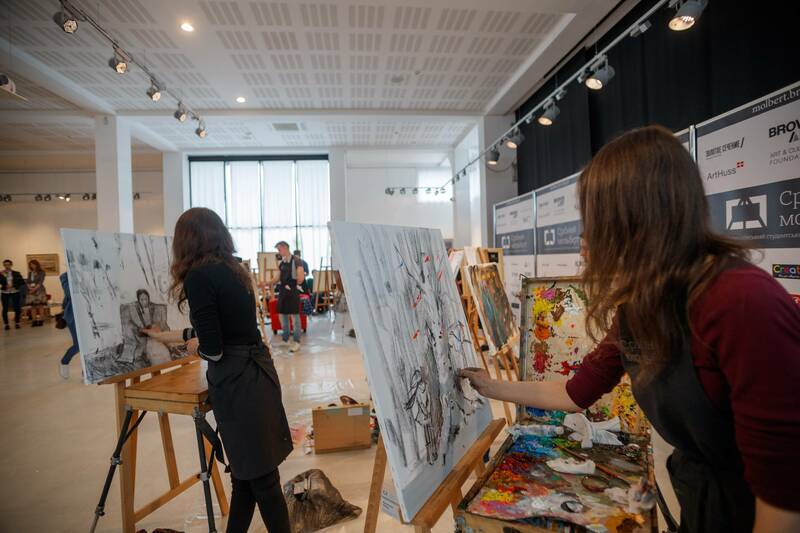 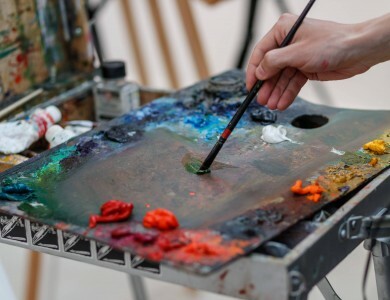 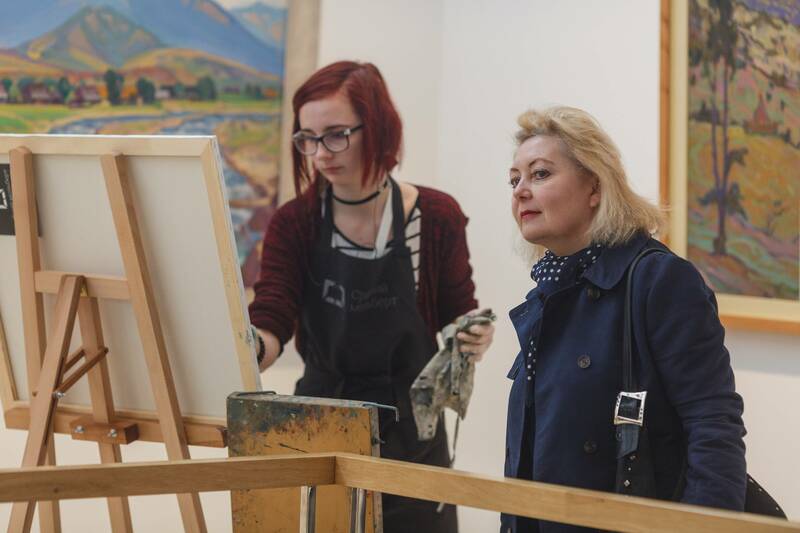 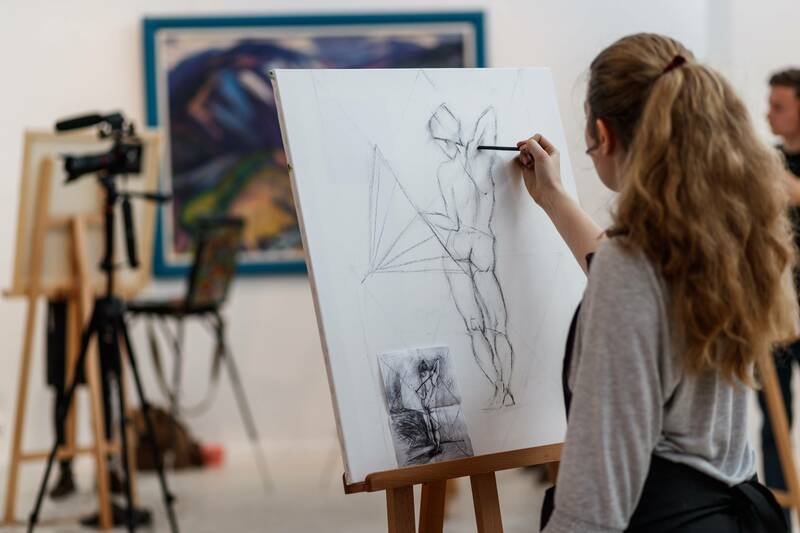 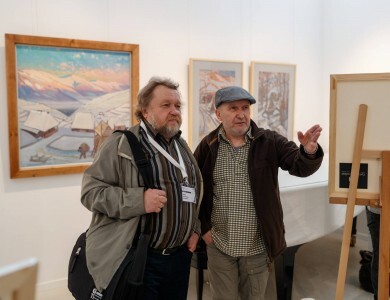 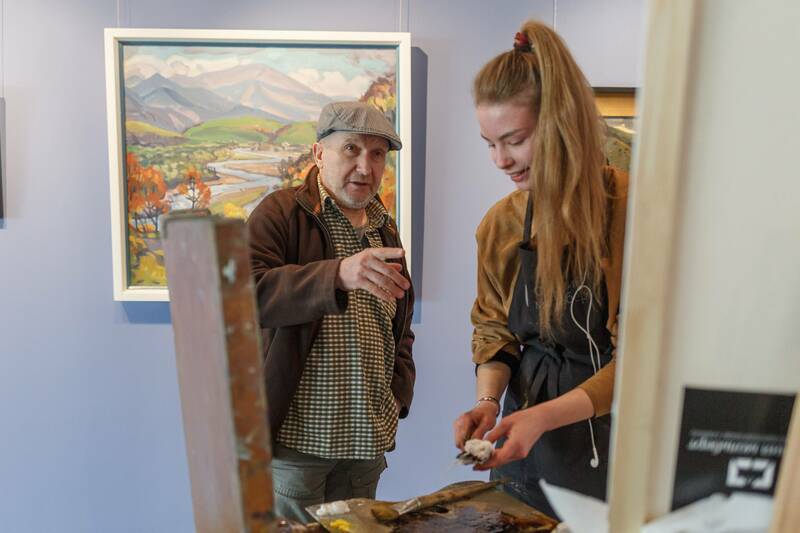 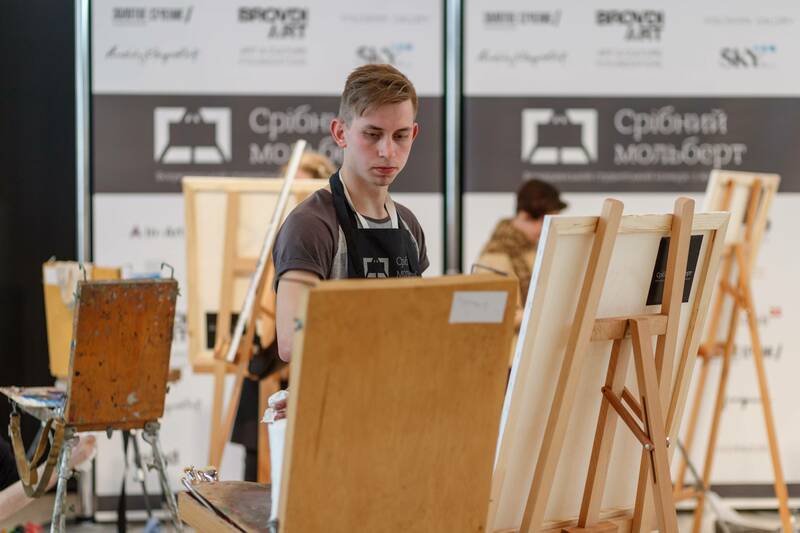 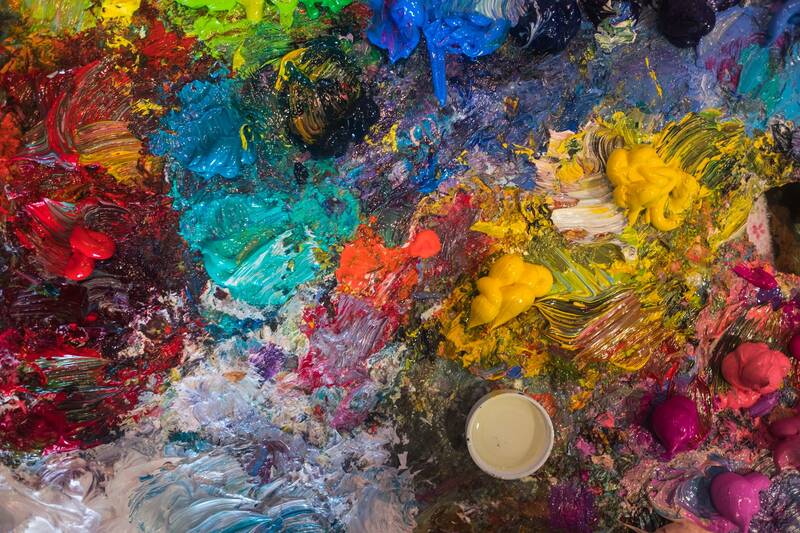 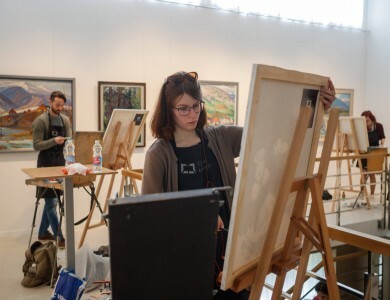 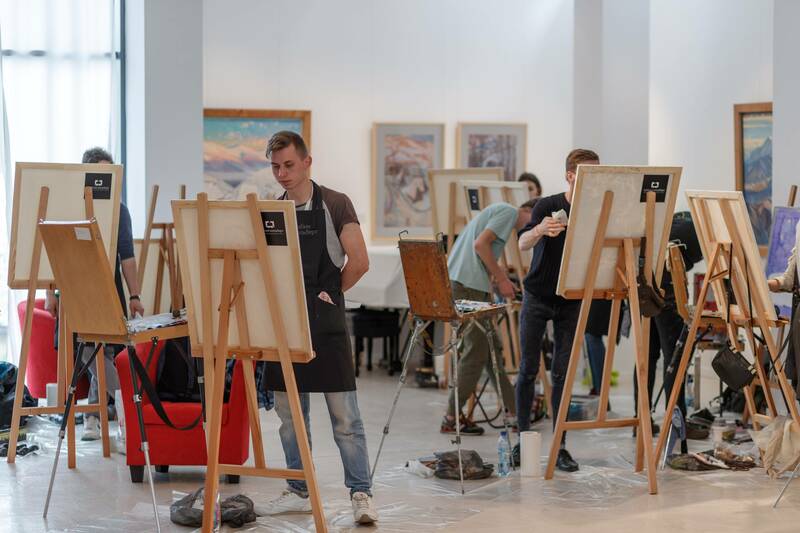 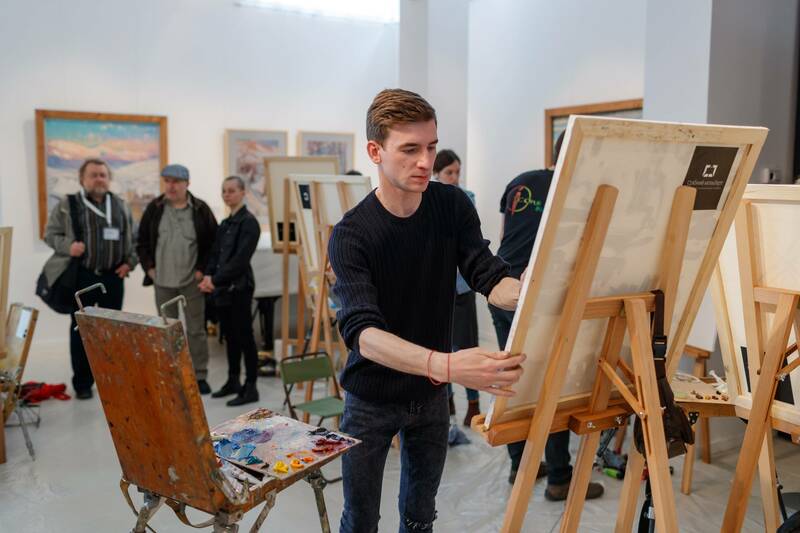 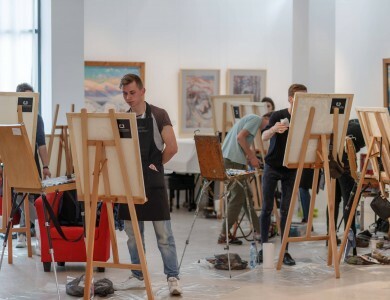 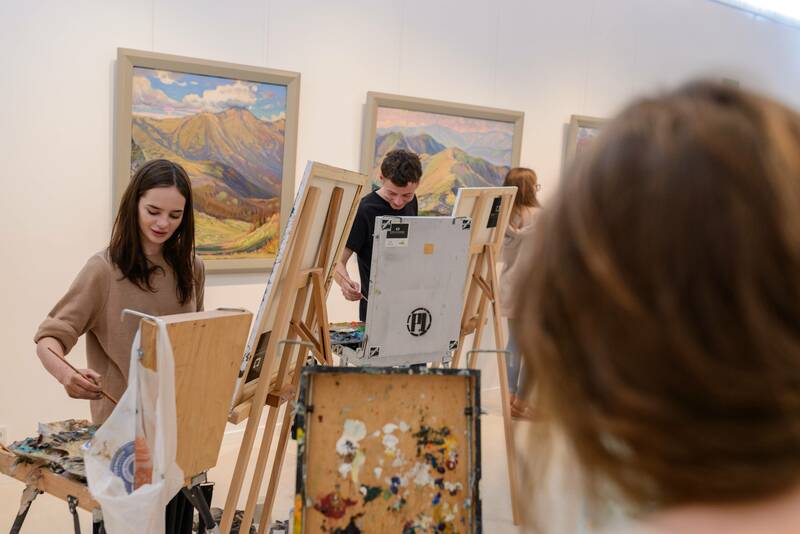 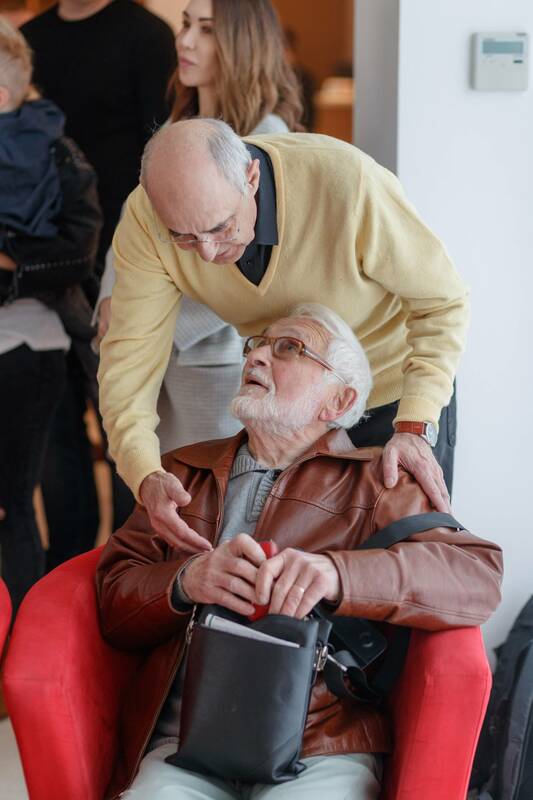 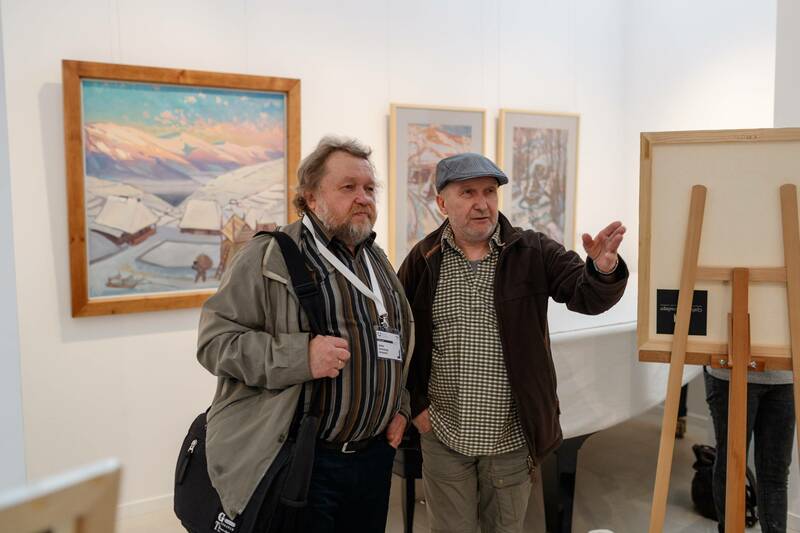 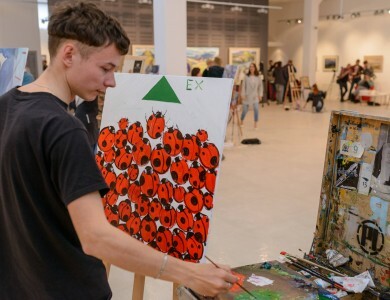 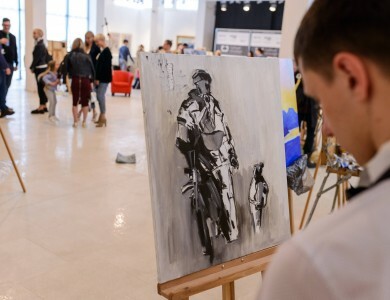 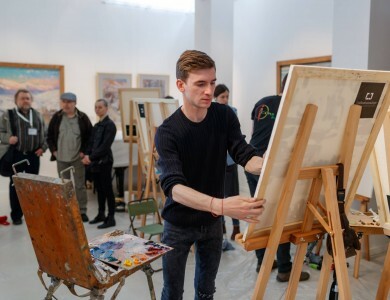 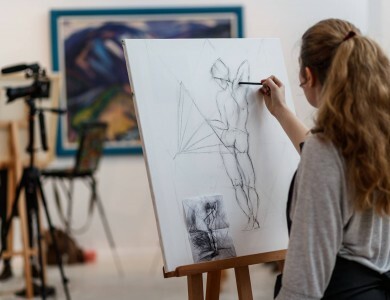 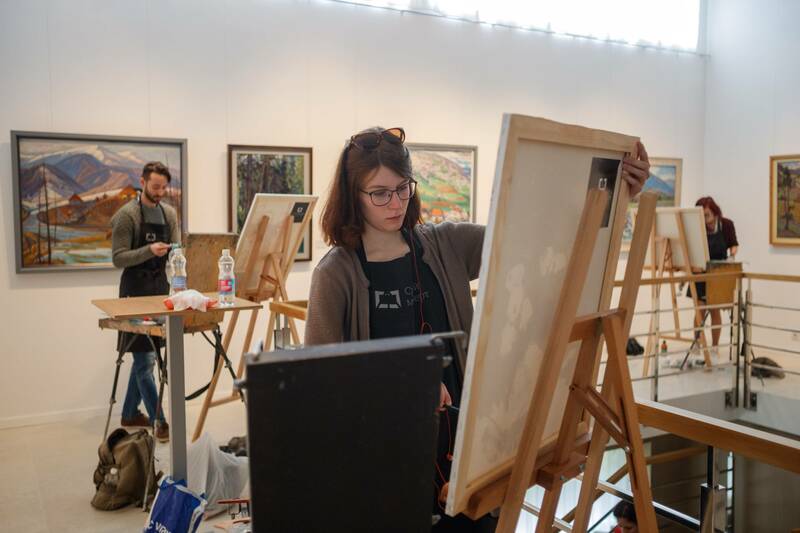 April 27 - on this day participants of “Silver Easel” worked on the implementation of the second contest’s task – “Improvisation”. 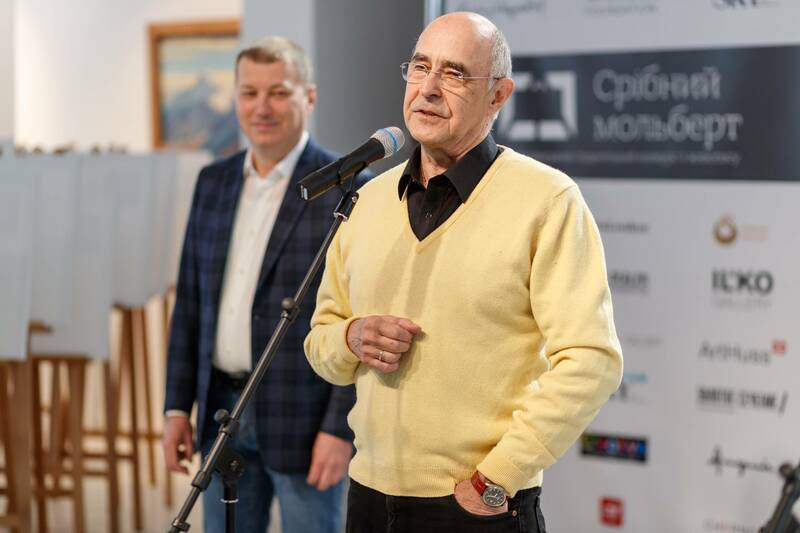 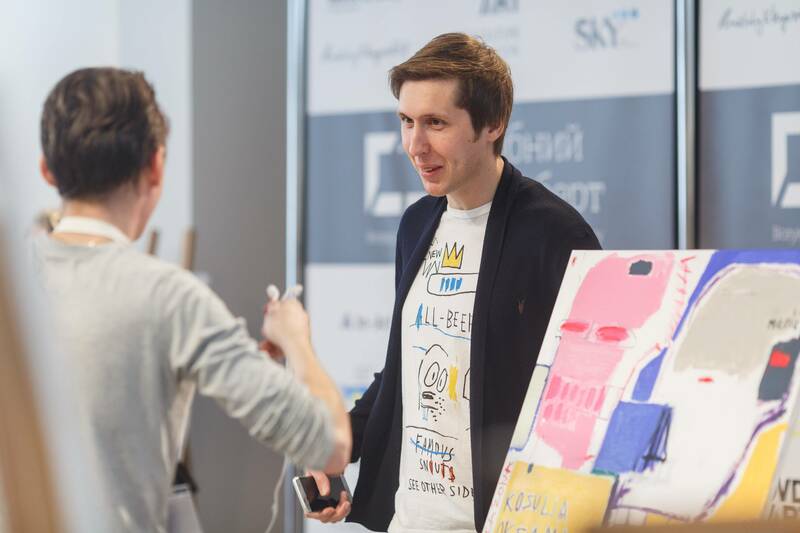 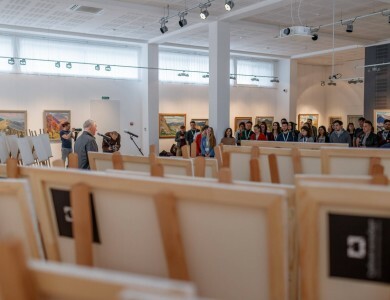 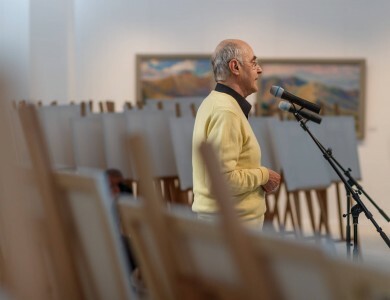 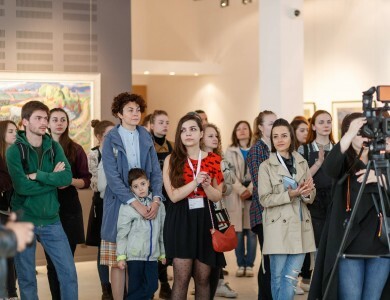 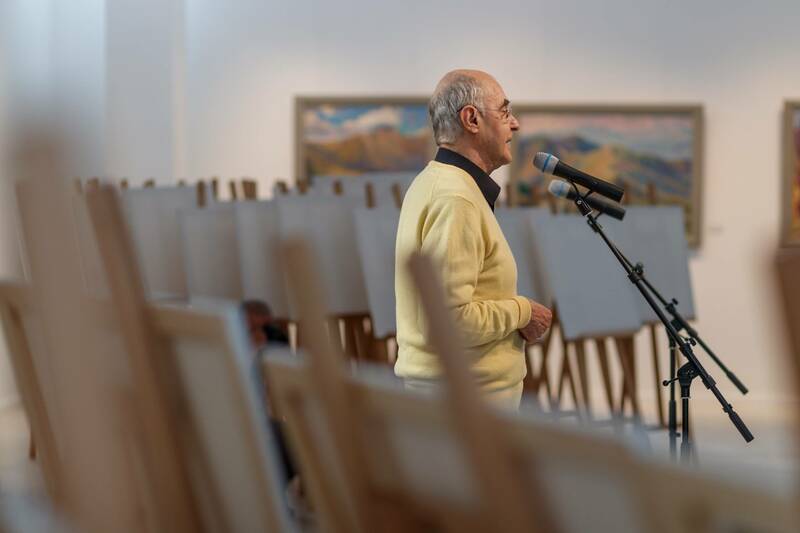 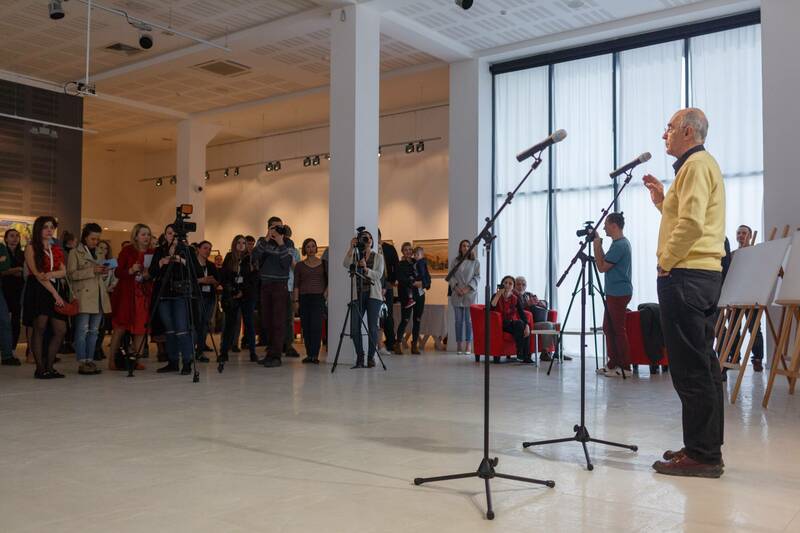 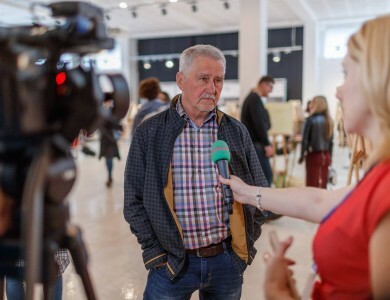 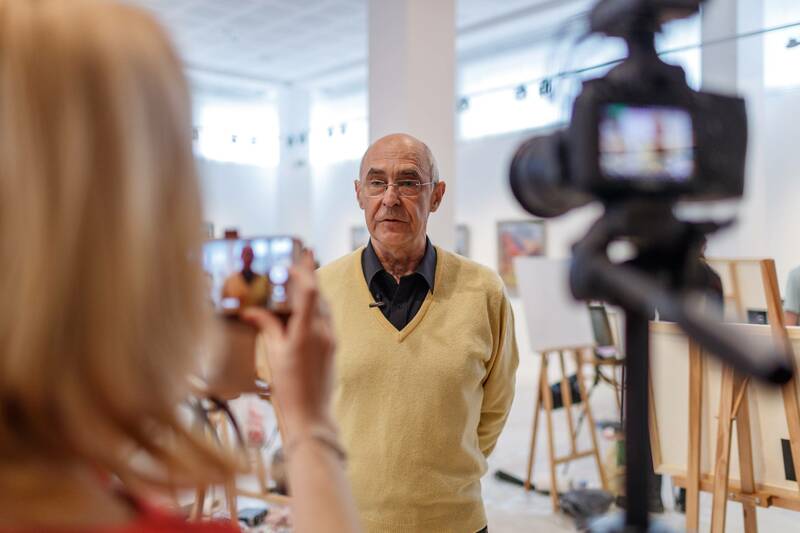 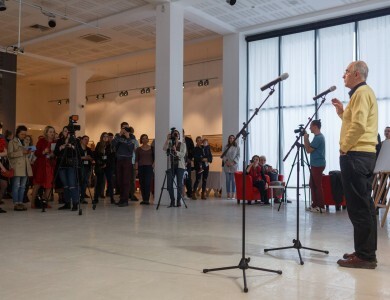 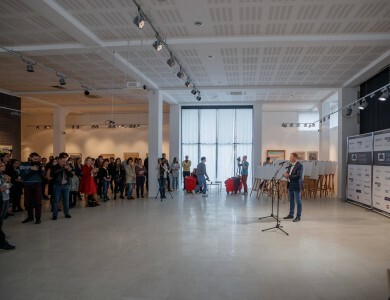 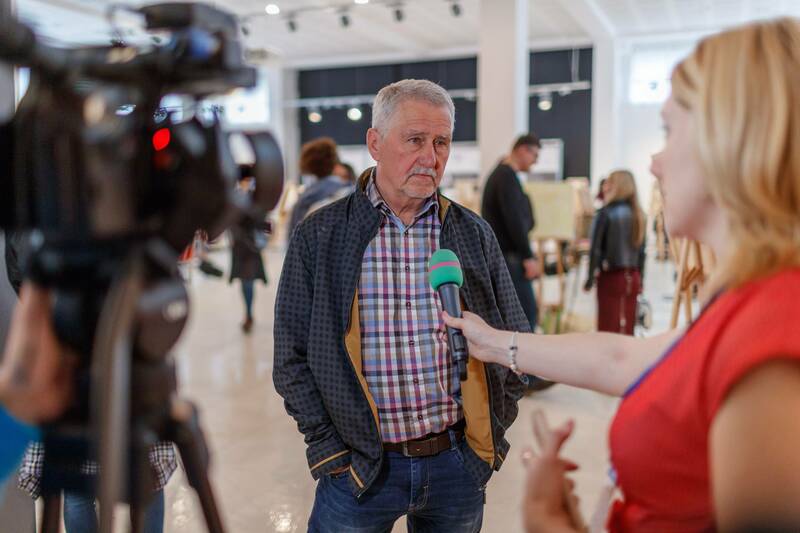 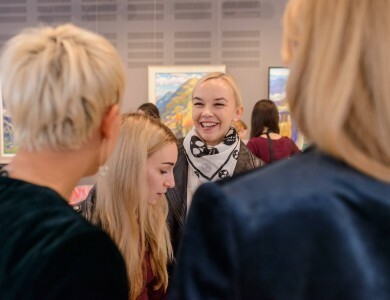 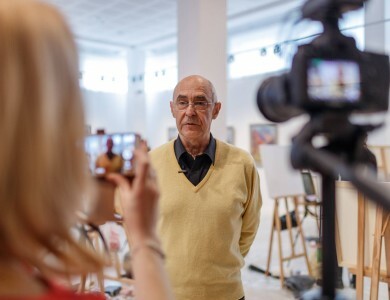 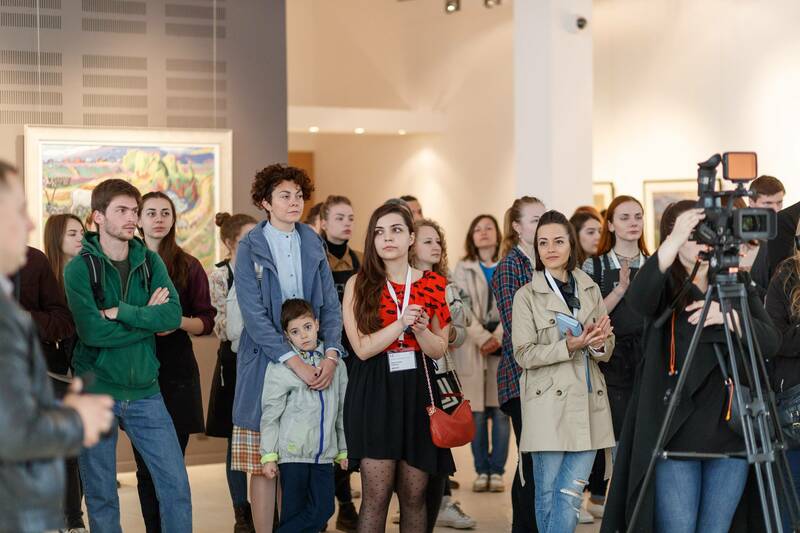 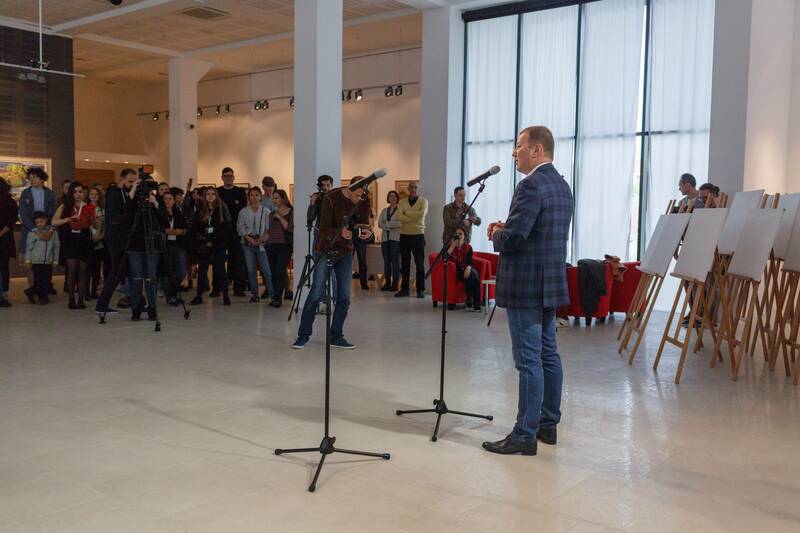 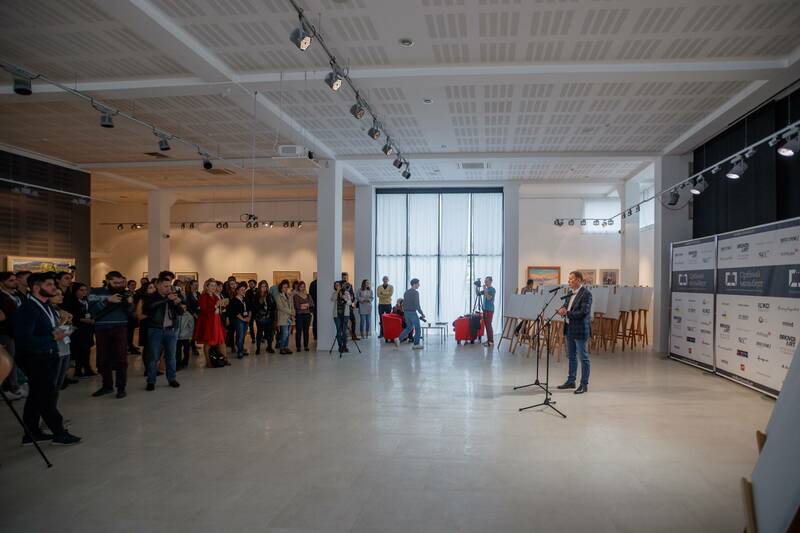 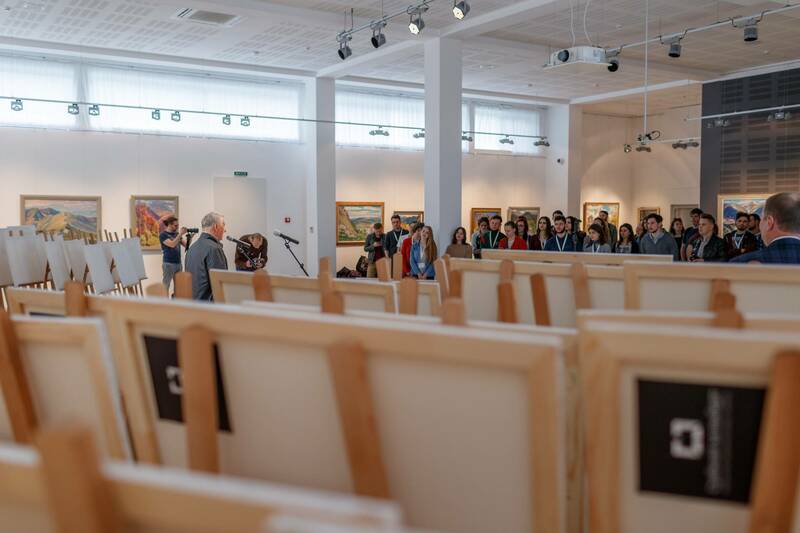 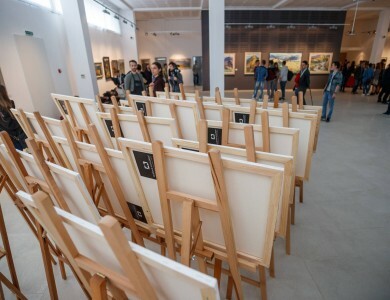 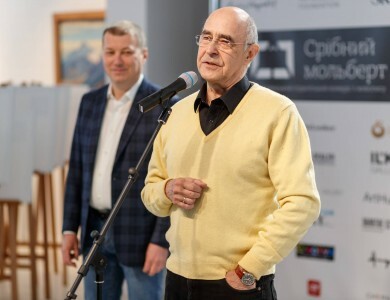 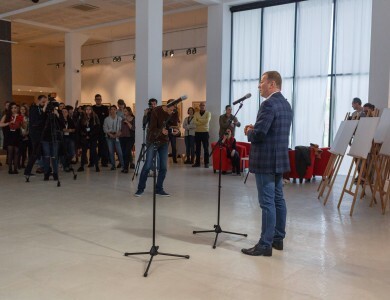 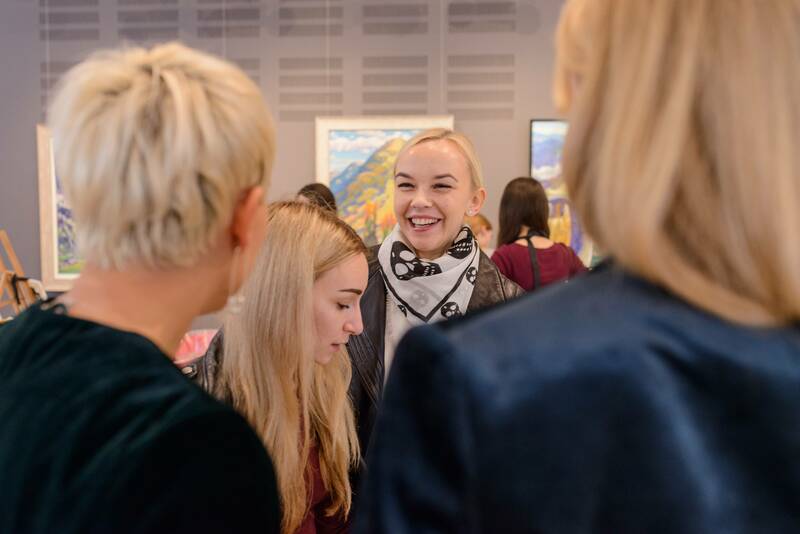 Before its start, the contest founder Robert Brovdi, as well as famous Ukrainian artists Anatolii Kryvolap and Tiberiy Szilvashi addressed with their pep talks to the young artists. 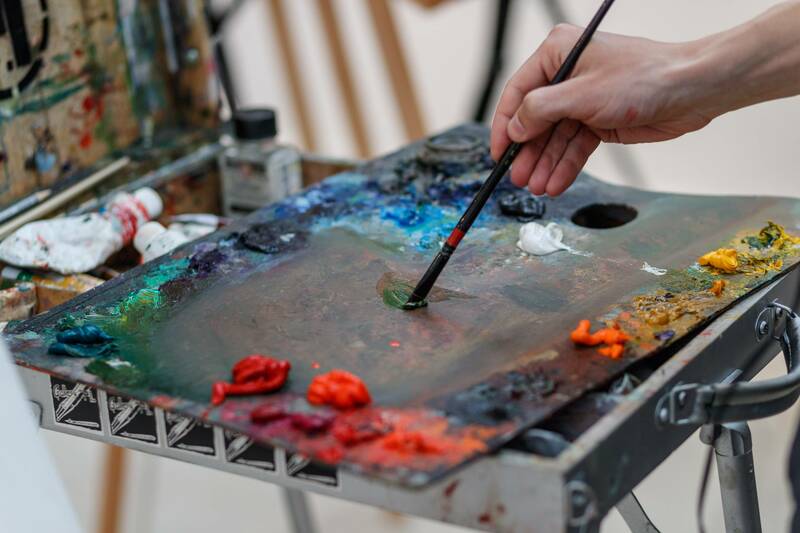 Within the next few hours the contest location literally raged with inspiration and creativity. 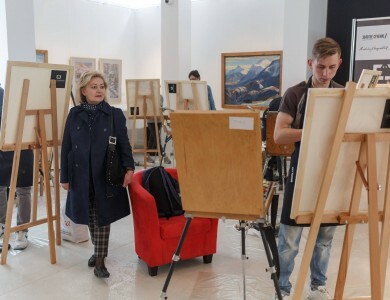 According to the idea of the organizers and jury, it is the least regulated, and therefore the most interesting task of “Silver Easel”. 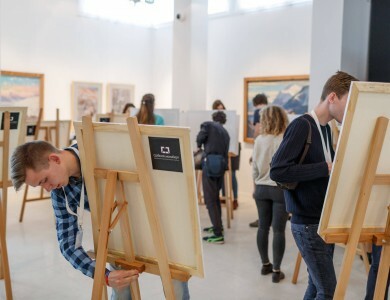 As the contestants received freedom in choosing genre, theme, and technique. 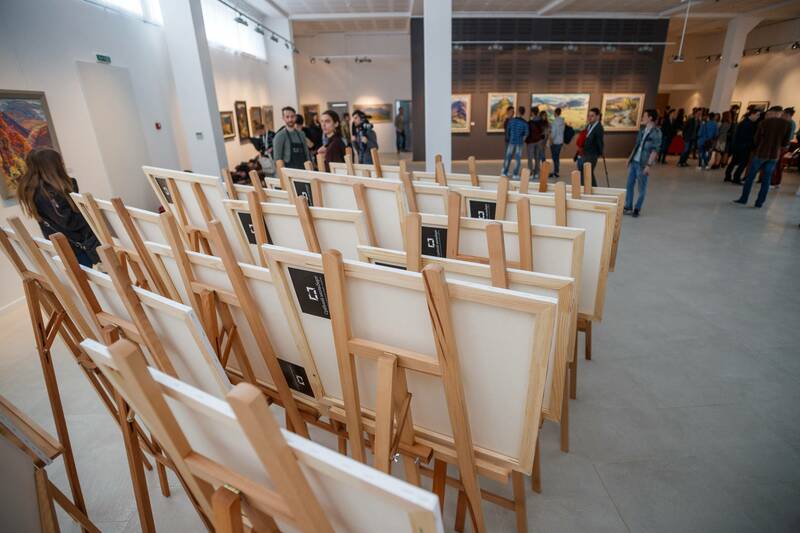 And, it means that the most original and courageous art idea can be expected to win.